LoveCBD is a very special company. One of the few in the UK – and even all of Europe, for that matter – that is permitted to sell CBD products and ship them around the continent. As a small family run business that started in 2014, LoveCBD has retained its small business appeal as it’s expanded and became one of – if not the largest – most successful CBD producers, and suppliers in the United Kingdom. With their main goal being helping people obtain organically grown, and pure CBD, the company itself does not, because it cannot, state any medical claims. This can be quite refreshing actually, as so many other companies and websites claim that they posses the miracle cure – and that you can get it right from them if you click now! Hahaha. While we all know the benefits of CBD, it's nice to see a company stand on its own two legs, versus piggy-backing on the already well known success of CBD products. LoveCBD is a caring, well rooted company that places its green culture values and its customers above anything else. As I write this, LoveCBD has 560 reviews on Trustpilot. An independent review company, Trustpilot has given them an overall 9.5/10 rating. Really impressive. One of the many pitfalls that too many Cannabis related companies fall into, is trying to spread themselves too far, and too thin. With the consumer base expanding so widely so fast, touting a wide variety of products for different consumption methods and different lifestyles – it works for some, but far too often the products just don’t prove to be anything unique and just act to overwhelm the shopper and/or saturate the market. 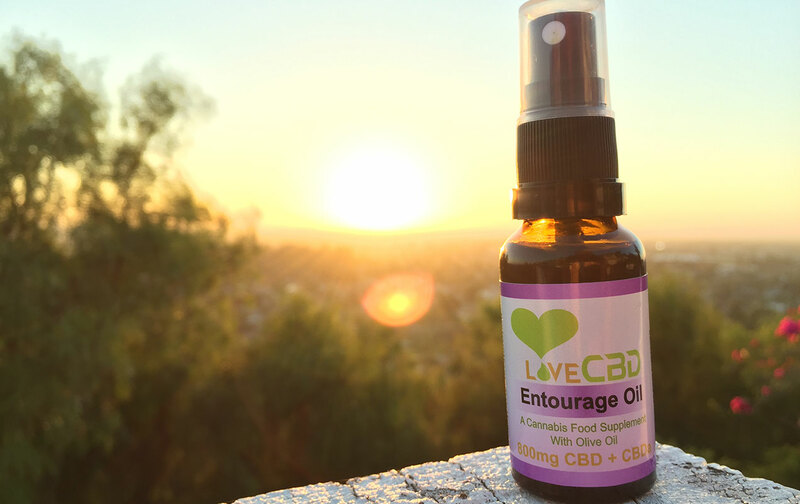 What we find with LoveCBD is something refreshing in the world of CBD and cannabis shopping. Part of the appeal that small, and or family run business posses is the fact that they tend to be much more customer oriented than the larger corporations. This can make a big difference when it comes to taking care of customers. Web shopping can lead to any number of issues from shipping to product quality – dealing with a smaller company always leads to a more personalized experience and maybe that’s what the weed scene needs. Free and fast shipping is not something you find often ever, and they offer it anywhere in the UK, (coupled with shipping elsewhere in Europe). So many of the reviews clearly demonstrate the exact kind of caring and customer service that we are talking about, and if you ever need to get ahold of them, they will always respond to emails within twenty-four hours! Impressive! As anyone who is involved with CBD, or Cannabis knows, it unfortunately is not the cheapest thing. After all, it’s nearly categorized as “medicine”. That being said, the prices for these LoveCBD top notch products are very fair, and are generally less than the competition even. Couple free shipping and a unique rewards point program, this company has a hold on a few things that we don’t think we’ve seen ever before! We've also found a 15% coupon code for Love CBD and posted it directly below. Shop at lovecbd.org and get 15% discount on CBD & Hemp products. While we really respect LoveCBD’s minimalistic product range, it can also bee seen as its downfall. With a more broad spectrum of the population interested in cannabis’ healing properties, this company would not do well with children, the elderly, or anyone who needs a stronger dose that isn’t in oral form. LoveCBD also does not ship to North America. Talk about limiting its customer base. There are a great deal many options out there when it comes to buying CBD products, especially when you are talking about places like the United States. When it comes to Europe however, it may not always be as easy to get access to these Cannabis products. So, to see a company that not only jumped through all the necessary hoops and hurdles to be able to do their business legally – but to do so in a way that the customers were not lost, nor abused – This company rises to the top.